We are talking with Charles Yarbrough, President at WebHost.pro - a high quality web hosting solutions. HOSTSEARCH: Hi Charles - thank you for speaking with us. Can you please tell us about your background? CHARLES YARBROUGH: I’m originally a wine maker from Napa Valley. My passion for computers started as a hobby when I was a child. One of my fondest memories was making video games on my Commodore 64 and having my friends come over and test them. I eventually became friends with a guy that hacked Atari games and this sparked my interest in developing software. Unfortunately in Napa, computers were not considered a career path after high school at least nothing compared to a distinguished wine maker. It wasn't until I visited Santa Barbara in college that I met my first webmaster and realized the potential for computers and the Internet in business. Shortly after that I became a reseller for a company called 10meg web hosting and worked my way up to selling dedicated servers. (Keep in mind a dedicated server was $300 a month back then so that was a lot of money for the time). From there, I bought a hosting company and used that as a negotiation tool to join DWHS. As a new 50/50 partner with DWHS we landed customers like FIFA, Myspace, and Sony. This gave us the capital to buy our first data center space in downtown Los Angeles. HOSTSEARCH: How long has WebHost.pro been in operation and can you tell us a bit about the history? CHARLES YARBROUGH: WebHost.pro is the new name for DWHS Inc. a company founded in 1998 by James Gardner which I joined as a partner in 2001. We also incorporated the business in 2001 with me as the President and James as the CEO. Our goal has always been to focus on premium bandwidth and less accounts per server so we can provide the fastest web hosting speeds possible. HOSTSEARCH: Could you give us an overview of WebHost.pro's products? CHARLES YARBROUGH: Our core product is shared web hosting. We have hundreds of thousands of websites all over the world running fast and reliably for as low as $2.25 a month. No matter how big or small your website is, you will have a fast loading site at all times with WebHost.pro. We also have hundreds of happy dedicated server customers, design websites, offer reseller web hosting plans and ecommerce solutions. CHARLES YARBROUGH: Speed! We don't care about pretty graphics or catchy phrases. When we are not helping customers we are optimizing servers and cleaning our network so it runs blazing fast at all times. 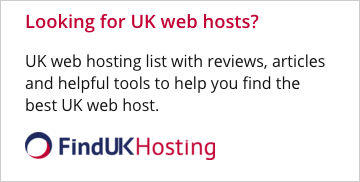 HOSTSEARCH: We noticed WebHost.pro provides eco-friendly web hosting. Can you tell us about how WebHost.pro has gone green? CHARLES YARBROUGH: Yes! I’m from the Bay Area and as you may know, we have some serious hippy roots up there. I pushed for green servers and sustainable power to our data center in 2008. It costs a little more but the quality is actually better and being a part of progressive energy feels great. We are not 100% green yet, but we move closer each year. HOSTSEARCH: In your opinion, what factors does the customers need to consider before choosing an Adult hosting service? CHARLES YARBROUGH: Most hosts are afraid of adult websites. They tend to be more unstable and can be problematic. For us though, it really is not a problem. As compared to our competitors we run hundreds of accounts, sometimes thousands, less per server. This allows much higher stable peak levels for high traffic and less predictable websites. 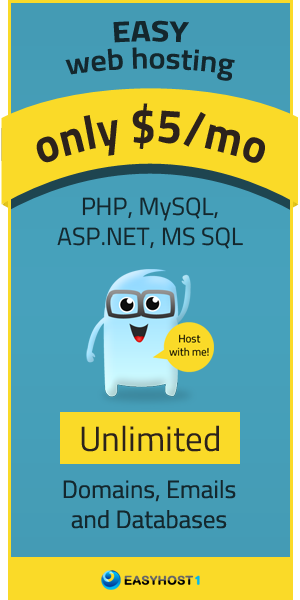 HOSTSEARCH: What kind of servers and networking systems are you using at WebHost.pro? CHARLES YARBROUGH: We have several shared Black Box servers that get upgraded often. We like these because server hardware progresses so fast. With Black Box servers we can add a new motherboard (mobo) or better power supply at any time without having to get a new server. Currently we run eight Core Xeon CPUs with 64 GB's of RAM on Intel MOBO's. Ask us in six months the same question and you will find our configurations to be even better. Our dedicated servers are Super Micro Atom and Xeon based servers depending on the needs of the customer. HOSTSEARCH: Where are your data centers located? CHARLES YARBROUGH: We are located off of 1 Wilshire at 530 W. 6th Street, Suite 805 Los Angeles, CA 90014, this is the second largest network hub in the US. We have every Internet carrier available here which allows us to be very choosy about which providers we incorporate into our network blend. HOSTSEARCH: What level of support do you provide for your customers? CHARLES YARBROUGH: I'll be honest, we outsourced our technical support back in 2007. It seemed like a great idea at the time but we learned quickly that no outsourced support members are not going to be passionate about a business that they can’t see and feel every day. Since then, we keep a full staff at our data center in Los Angeles that we share with two other companies. We also have three to five remote technicians around the clock and a couple of other great people that help with just about everything. All in all we have over 15 people working to make sure you get fast help at all hours and most importantly they’re constantly checking to make sure the servers and websites are running perfectly at all times. HOSTSEARCH: Thank you for this wonderful talk. We wish you success in the coming years.